Eating can be one of life’s true pleasures - that is, unless you suffer from tooth sensitivity. Then, every bite can be filled with anxiety. Bite down wrong and suddenly pain will shoot through the mouth, causing the entire body to recoil in discomfort. If this scenario strikes you as familiar, then you are most likely an excellent candidate for one of the many restorative dentistry procedures that can be used to treat tooth sensitivity. At the practice of Dr. Kenneth W. Coffey, you can find relief from tooth sensitivity, beginning with an initial consultation. Dr. Coffey will discuss the relationship between tooth sensitivity and chewing during your consultation at our Orland Park, IL practice before moving on to the possible causes of tooth sensitivity. 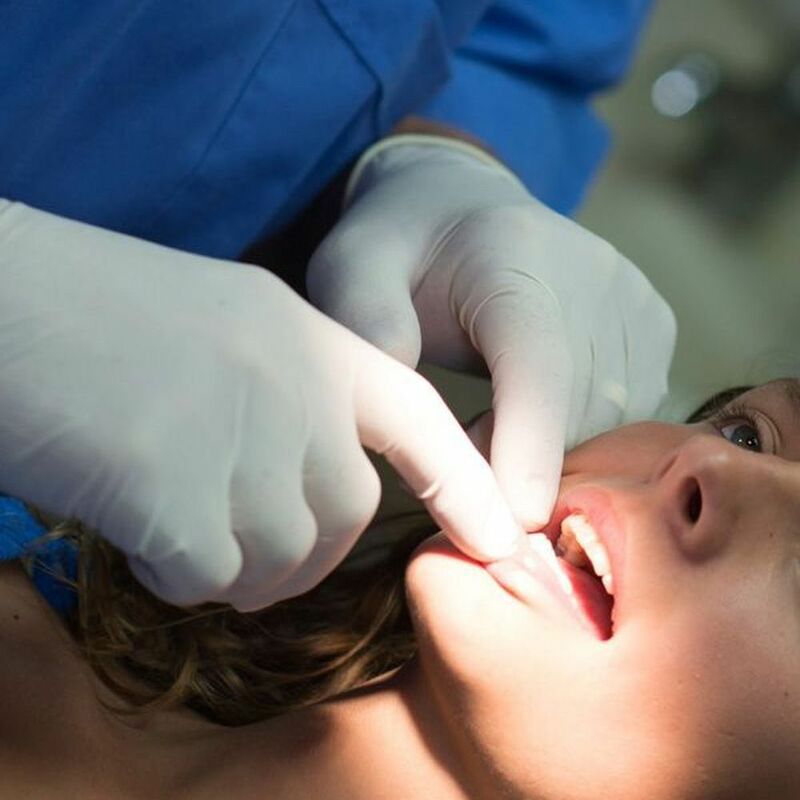 He will then perform a thorough oral exam to determine the cause of tooth sensitivity in your particular case and recommend the most effective course of treatment available based on the results. If you are experiencing discomfort or pain due to tooth sensitivity when you chew food, then we urge you to schedule your initial consultation with Dr. Coffey today. The most common causes of tooth sensitivity are enamel erosion and gum disease. While there are other possible causes, it is likely that your tooth sensitivity can be attributed to one of these two causes. Enamel erosion refers to the wearing away of the protective outermost layer of your teeth. This layer is extremely strong - in fact, tooth enamel is one of the strongest substances to be found in nature - but it is vulnerable to damage over time. The presence of acids and bacteria on a tooth can eventually cause the enamel to become worn, resulting in the more delicate underlying layer of the tooth - the dentin - to become exposed. Dentin contains microscopic holes that lead to the nerves inside of the tooth. As you might imagine, these direct routes to the nerves of the tooth make the tooth dramatically more sensitive, especially when biting and chewing. Gum disease, on the other hand, does not immediately lead to tooth sensitivity. Indeed, in its earliest stages, gum disease often produces no noticeable symptoms whatsoever. Over time, however, gum disease will progress into a more severe form if left untreated. In this more severe form, called periodontitis, the gums will start to pull away from the teeth, leaving the delicate tooth roots exposed. Again, the roots are not meant to be exposed to the elements; they are normally protected by the gums. Now exposed to bacteria and other debris, increased sensitivity is inevitable. Fortunately, both enamel erosion and advanced gum disease can be treated. In fact, tooth sensitivity is a sign that treatment is necessary. By seeking treatment immediately, you can help to prevent more painful - and expensive-to-treat - dental problems in the future. To learn more about tooth sensitivity and chewing, please contact the cosmetic, restorative, and general dentistry practice of Dr. Kenneth W. Coffey today.